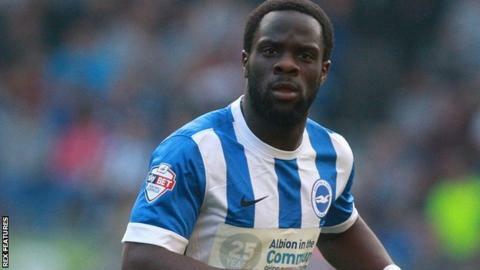 Brighton have recalled Elvis Manu from his loan spell at Huddersfield. Former Netherlands Under-21 winger Manu, 22, joined the Terriers on a three-month loan at the start of February but the deal enabled Albion to recall him after the first 28 days. He did not start a match for the Yorkshire side, with all five of his appearances coming as a substitute. "His return to Brighton is the right move for everyone," Huddersfield boss David Wagner told his club's website. "Now that we have been able to bring Rajiv van La Parra to the club earlier than we believed we could, we have six loanees. "I can only pick five in the matchday squad, plus I'd prefer to work with the players who we know are here for the long term." Manu joined Brighton from Feyenoord in August but made just nine appearances for the Seagulls prior to his loan move.